Delivering corporate team building that exceeds expectations. Team building has tangible benefits, as well as the obvious feel good factor that your team experiences. 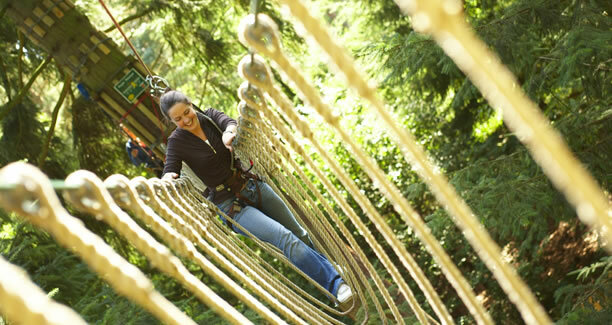 Wired High Ropes is a 22 element course which offers the challenge of various rope and wooden obstacles. The team can be set different tasks to carry out, just to add more fun and excitement! Summit - Vertical Ropes Adventure is our amazing 14 metre high course with Climbing Wall, Gladiator Challenge, Crate Stack, Jacobs Ladder and Leap of Faith. Teams will be taught belaying and good communication skills are essential! This is a fantastic and unique venue for anyone looking for somewhere a little different to host their event, whether it's a meeting or a training course, they provide you with an idyllic rural location to celebrate in style, you don't get much more unique that a vineyard in North Yorkshire! With fantastic views and great team you can be confident that Yorkshire heart are committed to tailoring your event to your needs and here to support you every step of the way. The North's leading & award winning Corporate Event and Outdoor Adventure destination. The extensive purpose built facilities at the Camp Hill Estate mean that we have the ability and agility to meet almost any challenge whether it be for 5 or 500. From meeting rooms for 2 to conferences for 80 delegates to Estate-wide family fun days, get in touch today to plan your bespoke event. Log Heights has been providing corporate team building events and activity support for management training courses for all sizes of companies for over a decade. The ropes course consists of 8 high team activities and 7 low activities which all encourage the key areas of teamwork: trust, support, cooperation and communication! We also have a large selection of indoor and lawn team activities for the colder months or if you would like us to come to you! Due North Events host running events based in the north of England. Specialising in trail running, providing coaching weekends, races, holidays and short breaks for runners and walkers. The events cater for all abilities from 5k to ultra runners. The events are aimed to improve knowledge, gain skills and confidence but most importantly to enjoy running. Sand In Your Eye Studio is a perfect creative indoor team building venue, set in the heart of the Calder Valley in West Yorkshire. Have fun and work together to create sand sculptures, ice sculptures, or at Halloween, pumpkin carvings, or even make light paintings with guidance from the professionals. We can tailor your session to your needs whether it be an ice breaker, motivational event, management and leadership training, or activity day. Your corporate team building activities range from 2hrs to full day sessions. Suitable for groups from 10-50 people. The Cooking School is a state-of-the-art facility for cooking, nestled in the heart of Pennine Yorkshire, perfect for away-days and teambuilding, with 20 individual workstations within the contemporary training kitchen. Get your team revved up and ready for action at the amazing Pole Position Indoor Karting venue in Leeds - one of the UK's finest indoor karting & hospitality venues. Team Building events and packages available for groups of 10 to 100, including all safety equipment and instruction and a trophy presentation for all drivers in the bar afterwards. Catering options on request and we have a range of entertainment and themed party options for after your racing! Thanks to the 130-acres of beautiful grounds it is safe to say that there is very little Harewood cannot offer your Team Building Event. Our team can arrange for you and your colleagues to do as little or as much as you wish, liaising with the Trust to hire the right outdoor space to run your day. And if the weather does not permit, the newly renovated Grade 1 listed Courtyard can deliver a variety of activities, in a picturesque setting unlike any venue in Yorkshire. 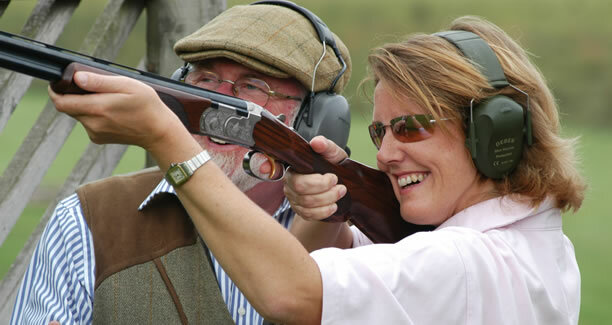 With packages including everything from clay pigeon shooting and chocolate making to duck herding and film making, no two visits need ever be the same. From just £25 per delegate, Yorkshire Sculpture Park offers great teambuilding opportunities. Your delegates can tour the park, learning about the art on display before trying out sculpture for themselves in an artist-led workshop. Take your staff, or customers on an adventure they'll never forget. We offer the finest adventure experiences. We have been helping organisations design and run bespoke outdoors tea building and corporate events for over 30 years, creating hundreds of unique experiences that meet the objectives of employers and ensure better team cohesion. With a huge range of activities, including 4x4 off-roading, quad biking, clay pigeon shooting, Segway riding and a whole host of other team building activities. Enhance your team's performance by engaging in one of our team building activities. 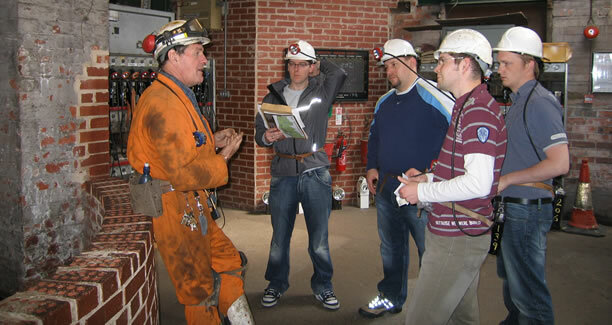 Every team can benefit from some reflection and review of how it currently performs and with expert guidance from Rock Stead instructors, we can use this to develop activities that target areas for improvement. Our team building events are tailored, offering half day, full day or multi day events, with activities including: orienteering, mountain biking, rock climbing, coasteering, canoeing, gorge walking and lots more. Highfield Farm, combined with the JSR Farms Visitor Centre and The Yorkshire Wolds Cookery School offers excellent training and meeting room facilities in a private location with ample parking and good road links to the major motorways. The newly built Cookery School provides an intimate meeting room combined with private dining and a comfortable lounge area. Whether you want to inspire, motivate, reward your team or build relations between departments or clients, we have a range of outdoor team building activities to make your day away from the office a success. How Stean Gorge can offer an exciting mix of gorge scrambling, caving, abseiling all in one location. Once we are clear about what needs to be achieved, we delight in designing something just for you. We skilfully blend together the learning experiences that will best meet your objectives and result in lasting behavioural change in your organisation. From just £25 per delegate, Chirpy offers a range of fun Creative Parties for corporate groups. These include chocolate making, cheese tasting, bunting making, screen printing, papercutting and wooden figure painting, or we can tailor an activity to meet your needs, just contact us to discuss ideas. Every Creative Party is led by a highly-skilled local craftsperson, and groups will have exclusive use of our cool upstairs space, with refreshments included, and a picnic style buffet lunch provided at additional cost if required. All parties last between 2-3 hours and can take place on an evening, weekday or weekend.